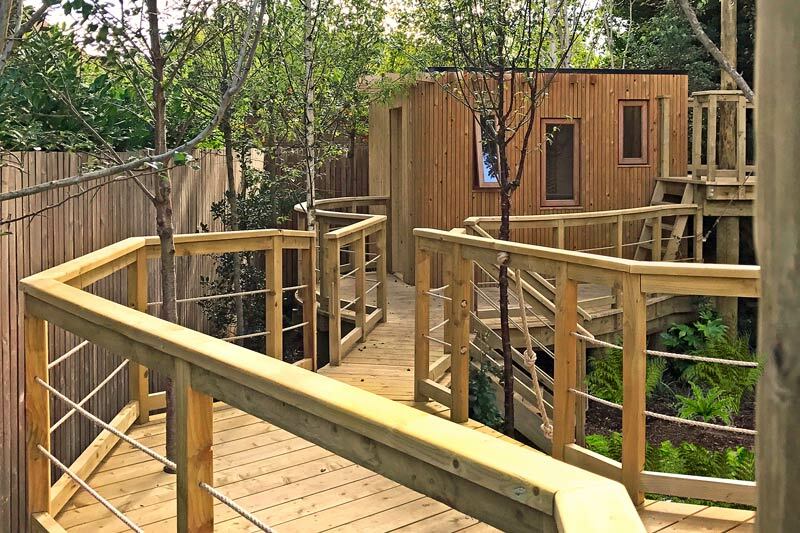 This bespoke treehouse and adventure play garden is set into a newly created woodland garden in South Dublin. 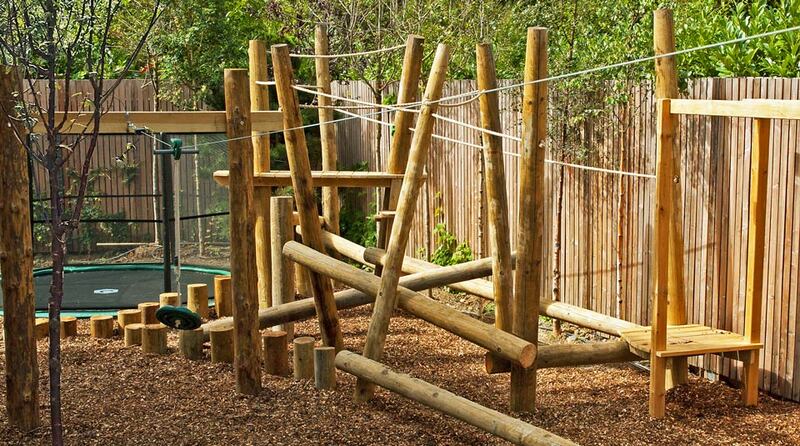 An elevated walkway and rope bridge leads you to the contemporary styled treehouse/den and zip-line tower. 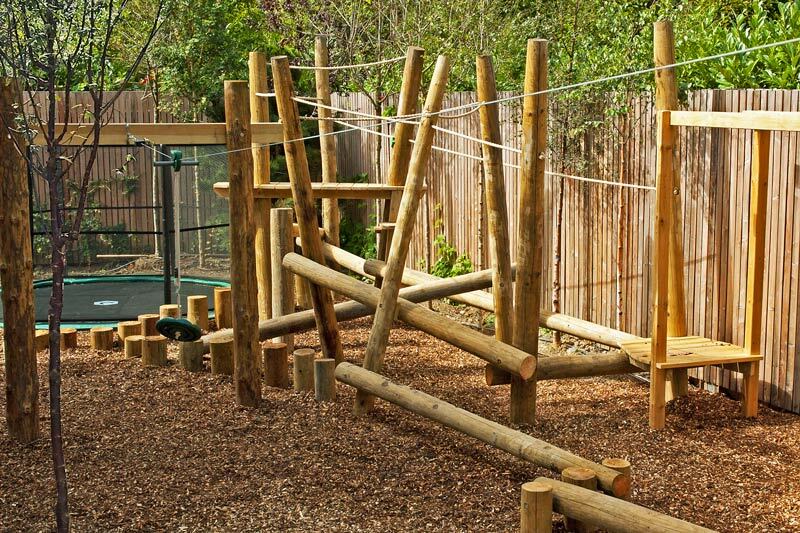 The play garden includes zipline; in-ground trampoline; climbing wall; balance beams; monkey bars and a rope & log climbing frame, all set into woodland planting and a play-bark surface. 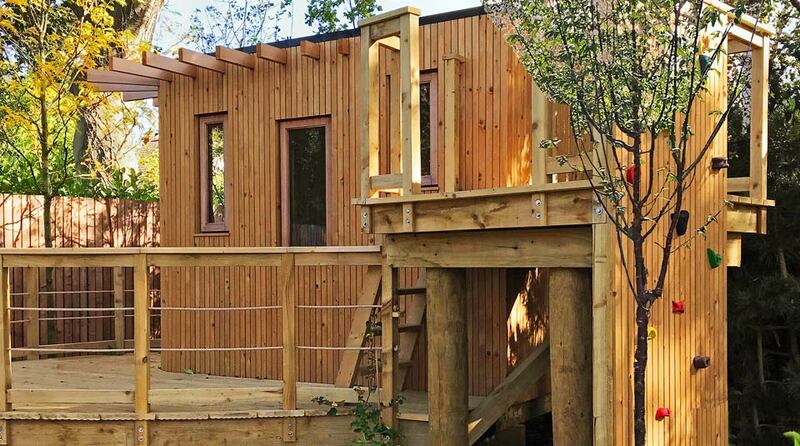 The contemporary style treehouse, with a secret door, is fully insulated and double glazed and comes with power; LED lighting; TV and wifi connections. All creating a childrens get away space for year round use. 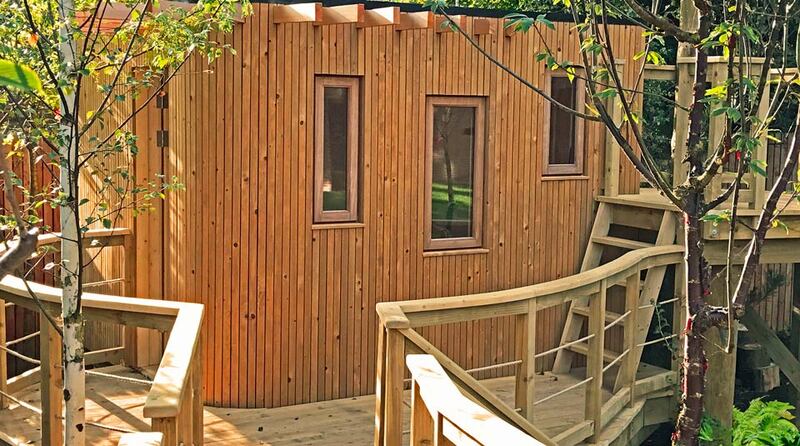 The design of the play garden and walkway has multiple access points creating a greater sense of space for imaginative play and to give a fun filled approach (incuding a secret tunnel) to the treehouse. All the timber used was pressure treated then allowed to weather naturally to blend in with the landscape. 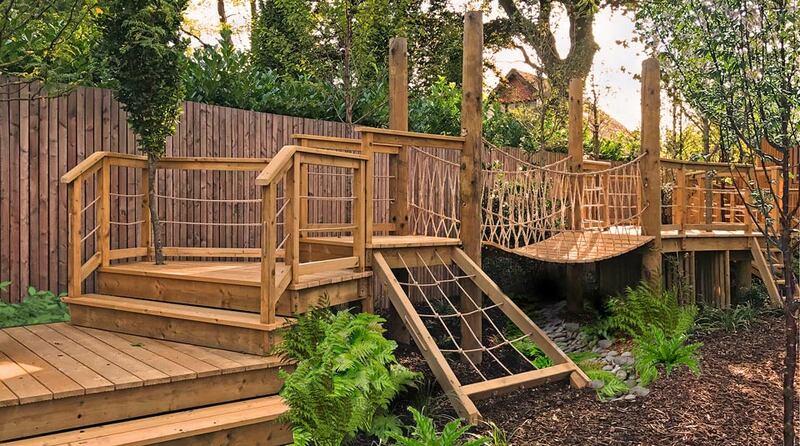 The design of the long play garden area uses the elevated walkway with rope bridge and various play elements to draw you through the garden towards the treehouse and zip-line tower, with the zip-line then carrying you back to the starting point. 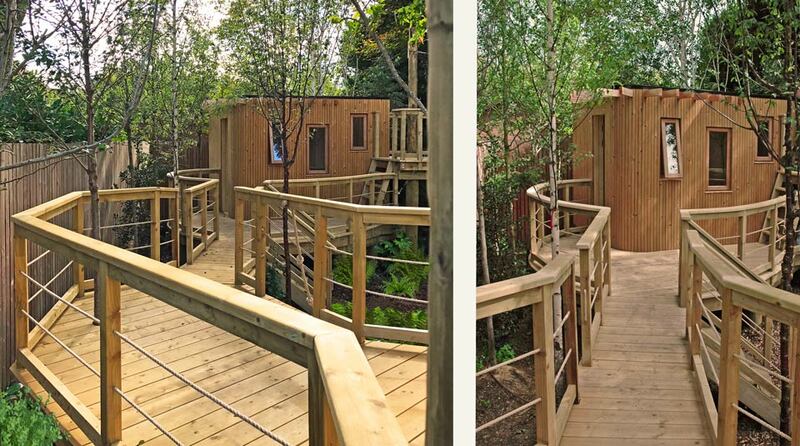 Part of the design was to give the treehouse and play garden a softer and more integrated sense of place by creating a naturalized woodland around and through the play elements. The design then draws on the borrowed landscape of neighbouring trees to help make the garden appear more mature.